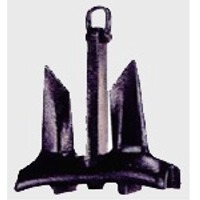 Sole selling agent in India of for Anchors Dazu Xingye Marine Casting Co. Ltd.
Short on time? 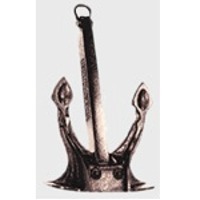 Let anchor sellers contact you. 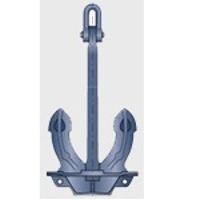 High Holding Anchor Sole selling agent in India of for Anchors Dazu Xingye Marine Casting Co. Ltd.
We are a carpet manufacturer located in Dalton, GA (USA) specializing in Hospitality & Commercial carpeting. 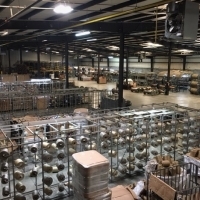 We also pride ourselves in our Closeout & Liquidation division which keeps in excess of 300,000 square yards of carpet ready for immediate shipping starting at $1.99 per square yard. Please contact us if you have interest in our products and we will gladly direct you to our website showing pictures and quantities of products available. 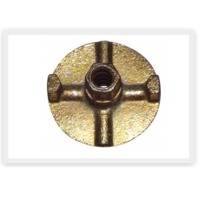 Quality all-around brass anchors with internal thread and internal thread is uses for per-installation.Knurling on the body to prevent rotation during installation.Brass anchors are suitable for indoor and outdoor use. 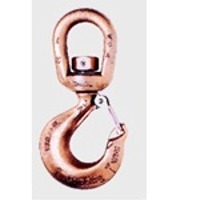 Single Chain Sling Two Leg Chain Sling Three Leg Sling Four leg Sling Double Loop Endless Sling Proof Load Testing After final heat treatment slings with accessories shall be tested as an assembly, multi- leg chain slings shall be tested in sections. 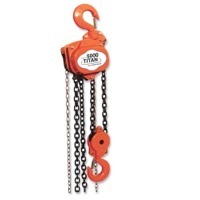 Individual sections of the chain slings shall be subjected to 2.0 times the load to which the section will be subjected when the assembly is subjected to its working load limit in accordance with the plan. 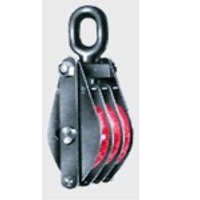 Lifting capacity of sling / working load limit (MT) Rating Single Branch slings Single branch slings shall have a working load limit equal to that of the Chain used in their construction Multi Branch slings Multi branch slings shall be rated at a uniform working load limit for an angle between branches of 90o-120o(45o- 60o to the vertical) or additionally a ta uniform working load limit for any angle between branches of 90o-120o(45o- 60o to the vertical ). Uniform Load Method Double branch slings For all angles between branches from 0°- 90° (0°- 45° to the vertical) WLL = 1.4 x WLL of a single branch made from similar chain. When additionally marked for angles between branches of 90°- 120° (45°- 60° to the vertical) WLL = 1 x WLL of single branch made from similar chain. Three and four branch slings For all angles between branches from 0°- 90° (0°- 45° to the vertical) WLL = 2.1 x WLL of a single branch made from similar chain. When additionally marked for angles between branches of 90°- 120° (45°- 60° to the vertical) WLL = 1.5 x WLL of single branch made from similar chain. S.W.L. on Hook tons, No of Sheaves, A, mm, B, mm, For Dia. 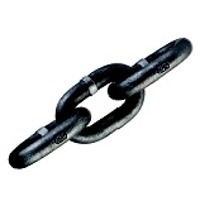 Wire Rope mm, D, mm, L, mm, E, mm, F, mm, R, mm, Approx. Wt. per Pc kg, 10, 1, 350, 300, 20, 55, 720, 33, 30, 35, 175, 13, 1, 350, 300, 20, 70, 790, 39, 35, 40, 190, 17, 1, 450, 400, 22, 75, 960, 48, 40, 50, 210, 12, 2, 300, 250, 18, 40, 750, 30, 28, 30, 130, 12, 2, 350, 300, 20, 40, 800, 30, 28, 30, 170, 27, 2, 400, 250, 22, 70, 1060, 42, 40, 42, 220, 27, 2, 450, 400, 22, 70, 1110, 42, 40, 42, 260, 35, 2, 450, 400, 22, 80, 1220, 48, 45, 50, 280, 15, 3, 300, 250, 18, 45, 750, 30, 25, 30, 145, 18, 3, 350, 300, 20, 50, 850, 30, 28, 30, 190, 30, 3, 400, 350, 22, 60, 1050, 39, 35, 40, 315, 35, 3, 400, 350, 22, 70, 1125, 39, 35, 40, 315, 20, 4, 350, 300, 20, 55, 870, 30, 28, 30, 290, 27, 4, 350, 300, 20, 55, 980, 30, 28, 30, 290, 32, 4, 350, 300, 20, 60, 1075, 33, 30, 33, 310, 45, 4, 450, 400, 22, 70, 1300, 40, 35, 40, 475, 45, 4, 500, 450, 26, 70, 1300, 40, 35, 40, 500, Note, More and larger Sheaves: on request, Hooks: plain or with thrust bearing, Bearing type of sheaves: Roller / Ball Bearing, Safety latch: on request, Also available with Ramshorn hook., Weight: can be varied on request., Crane blocks of smaller & larger capacities are available on order. 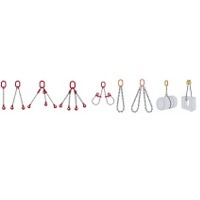 Eye Hooks For Wire Rope The most complete line of Eye hooks. Available 1/2 ton to 60 tons. Proper design, careful forging and precision controlled quench and tempering give maximum strength. Every Eye Hook has a pre-drilled cam which can be equipped with a latch. 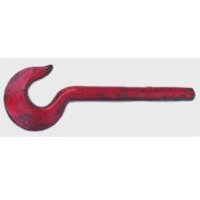 Eye hooks are load rated. Available in mild steel and alloy steel. Forged - Quenched and Tempered. Proper design, careful forging, and precision controlled quench and tempering gives maximum strength without excessive weight and bulk. 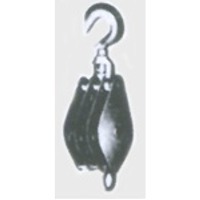 Every Crosby Swivel hoist hook has a pre-drilled cam which can be equipped with a latch. Simply purchase the latch assemblies listed and snown on pages 89-91. Even years after purchase of the original hook, latch assemblies can be added. Load rating codes stamped on each hook. 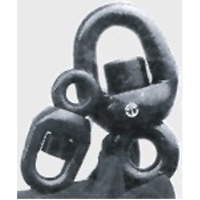 322 Swivel Hooks use the same load rating code as 319 Shank Hooks, see page 84 for proper Hook Identification Codes. 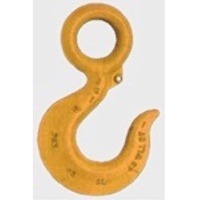 Hoist hooks incorporate markings forged into the product which address two QUICK-CHECK features: Deformation Indicators -- Two strategically placed marks, one just below the shank or eye and the other on the hook tip, which allows for a QUIC-CHECK measurement to determine if the throat opening has changed, thus indicating abuse or overload. 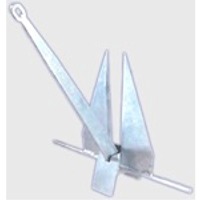 Angle Indicators - Indicates the maximum included angle which is allowed between two (2) sling legs in the hook. 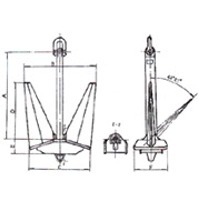 These indicators also provide the opportunity to approximate other included angles between two sling legs. Note Carbon swivel hooks.75tC-15tC: proofload is 2 times working load limit.Designed with a 5 to 1 safety factor. 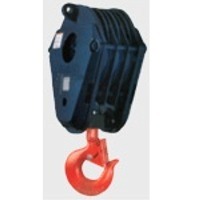 Alloy swivel hooks 1.5tA-22tA : proofload is 2.5 times working load limit. Designed with a 4 to Isafety factor. 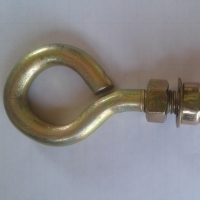 Alloy swivel hook 31.5tA: proofload is 2 times working load limit. Designed with a 4 to 1 safety factor.